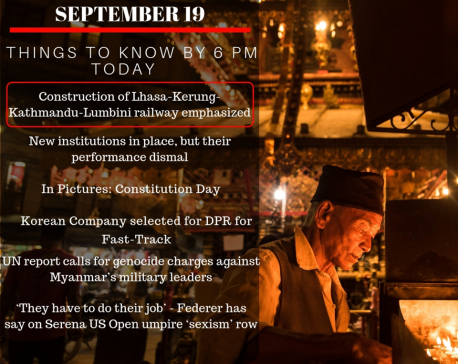 KATHMANDU, Sept 20: Prime Minister KP Oli has said that the government will not tolerate any activities intended at experimenting with the country in the name of rights movements. Addressing a national function at Tundikhel to commemorate the third anniversary of the promulgation of the new constitution, Oli said as the political movements for democracy have already reached a positive conclusion, the government will adopt a zero-tolerance policy against those using the country as a guinea pig. “It is unacceptable for the country to be turned into a playground for ill intentions and used as a guinea pig in the name of rights. 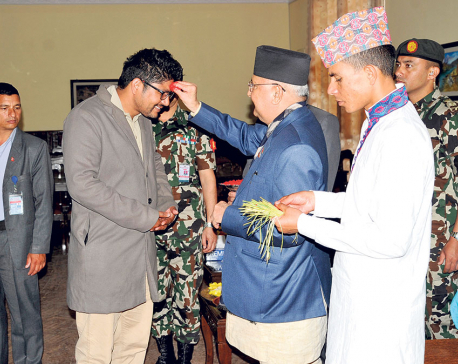 The experiment phase has ended,” said Oli. 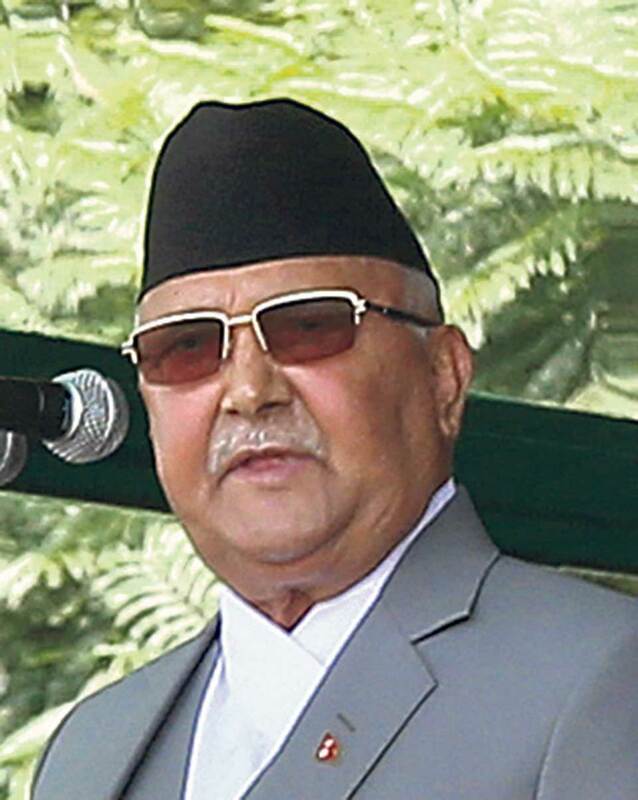 Stating that constitution and federalism can be revised if any lapses are found during implementation, Oli said that federalism cannot, however, be scrapped under any pretext. He was of the view that there will be no ifs and buts about the implementation of federalism, adding that any arguments about federalism, now that it is a reality, have become irrelevant. Indicating the disgruntlement among various chief ministers over the rights of the provinces under the constitution, Oli said that relations between the center and the provinces will be managed in line with the constitutional provisions. 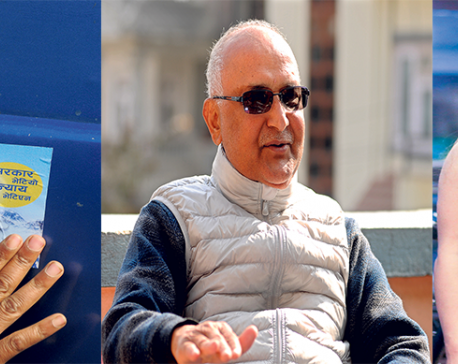 Oli was of the view that the government cannot come up with substantive results within six months of its formation, starting from a fragile and backward situation. “I have heard that we talked too much, but didn’t act; we have now entered a phase of action from a talking phase. We have entered a realization phase from a phase of dreaming,” he said. Meanwhile, the government has commemorated the third anniversary of the promulgation of the new constitution as national day from this year. The president, the prime minister, ministers, leaders of major political parties and the general public gathered at the Sainik Manch (Army Pavilion) at Tundikhel to observe the national day ceremony. The army pavilion used to be closed to the general public during such functions in the past. This time members of the general public were invited to attend the national function through cell phone messages. Until last year the government used to mark Republic Day as the national day. With the government deciding to commemorate Constitution Day as the national ceremony, President Bidya Bhandari announced the names of 501 individuals to be conferred national medals. She had announced national medals for 445 persons on Republic Day last year. Top political leaders extended their best wishes on the occasion of constitution day, Wednesday. President Bhandari expressed happiness at the institutionalization of democracy and the political changes and at the environment for the materialization of a constitutional roadmap. Vice President Nanda Bahadur Pun expressed hope the constitution has laid the ground for prosperity and economic growth. Parliament’s Legislative Committee convened a three-day democracy fair at Basantapur Durbar Square to mark the third anniversary of the constitution. The original copy of the constitution will be displayed for the three days at the heritage site, said lawmaker Sher Bahadur Kunwar, the coordinator of the function. Youth wing leaders of Nepal Communist Party (NCP) hoisted the national flag at Maitighar Mandala on a 100-foot pole on the occasion.